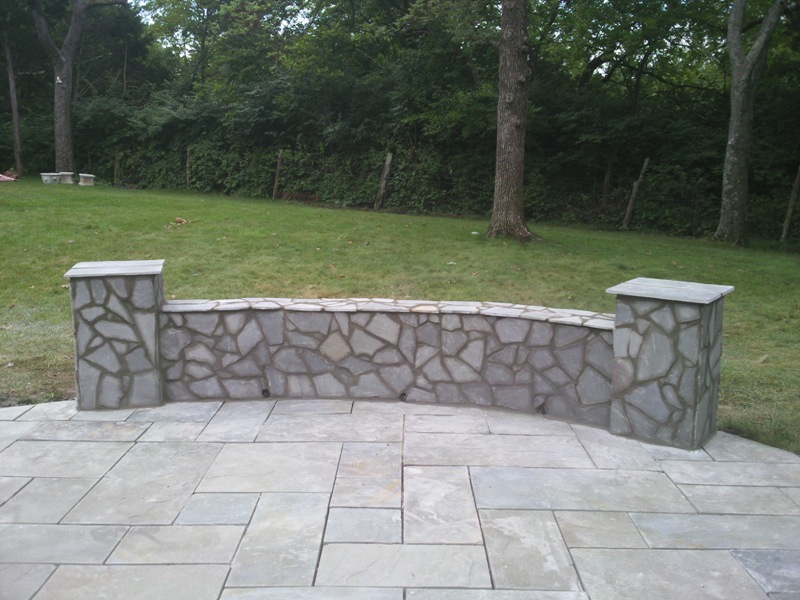 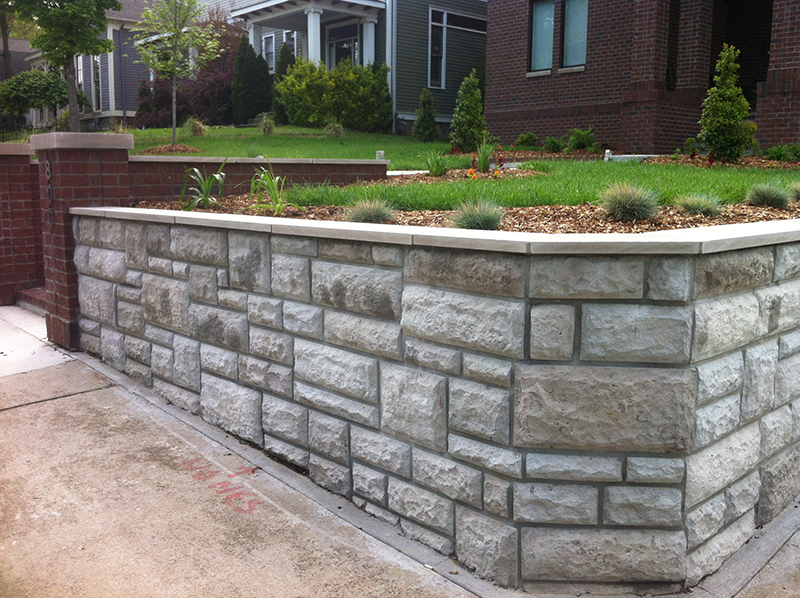 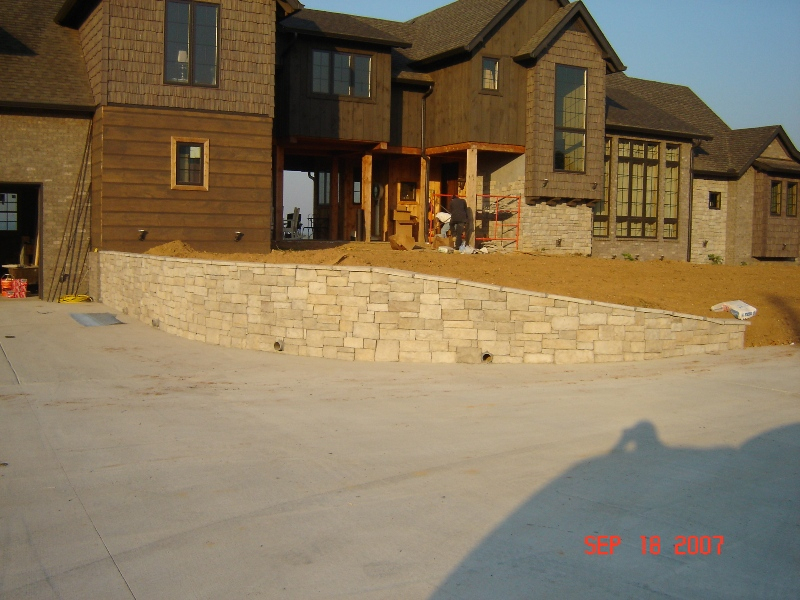 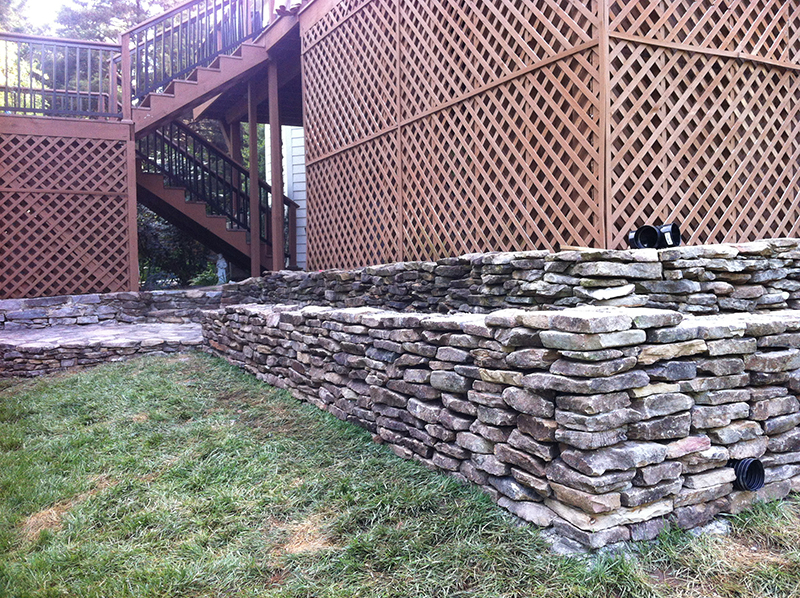 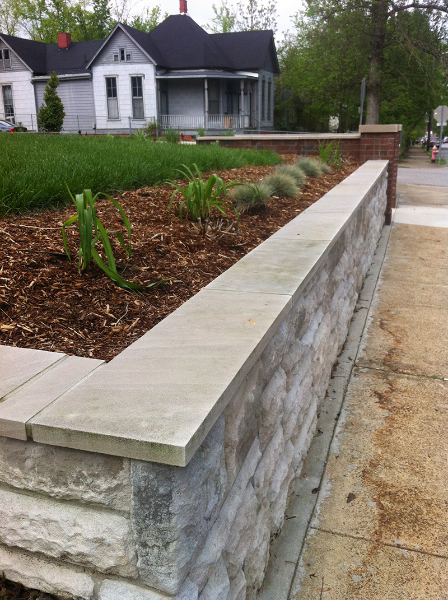 Retaining walls do not have to be unattractive. 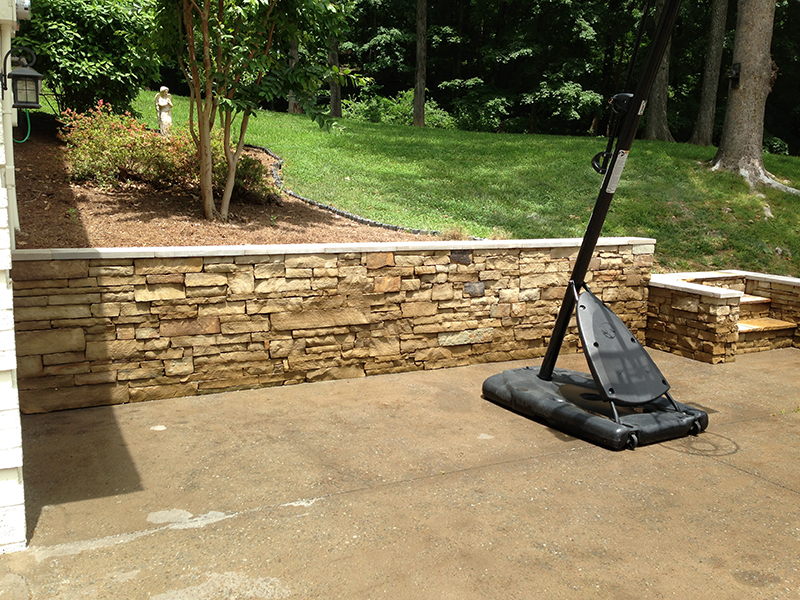 JORDAN’S Improvement can help you design walls that will complement the design of your home. 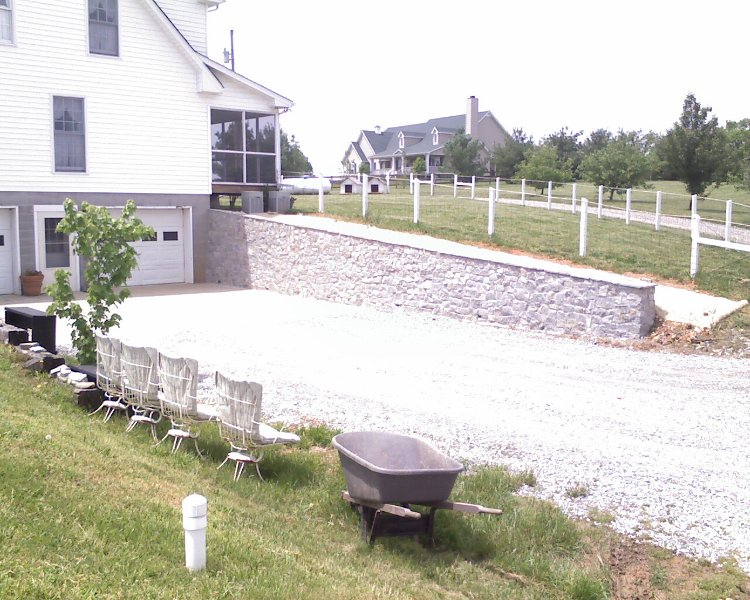 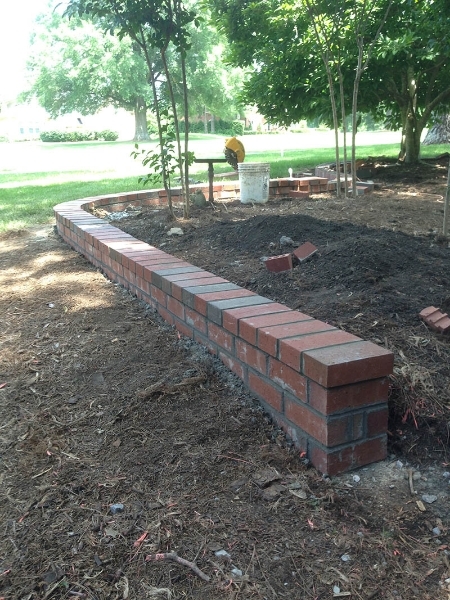 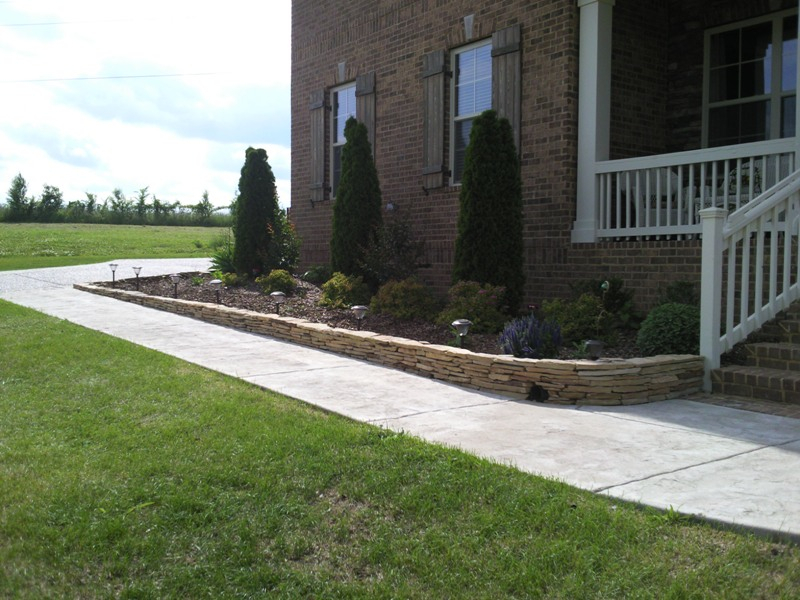 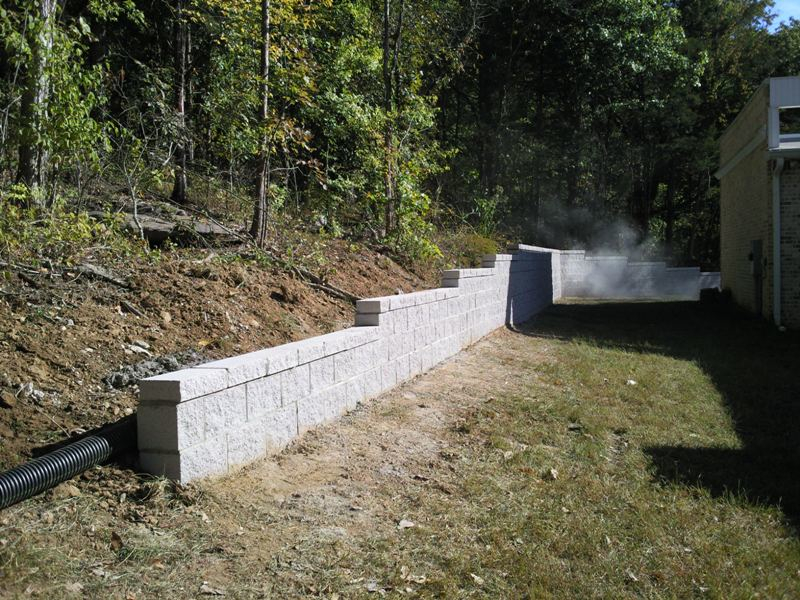 Retaining walls are used to restrain soil to a slope that would not naturally keep it. 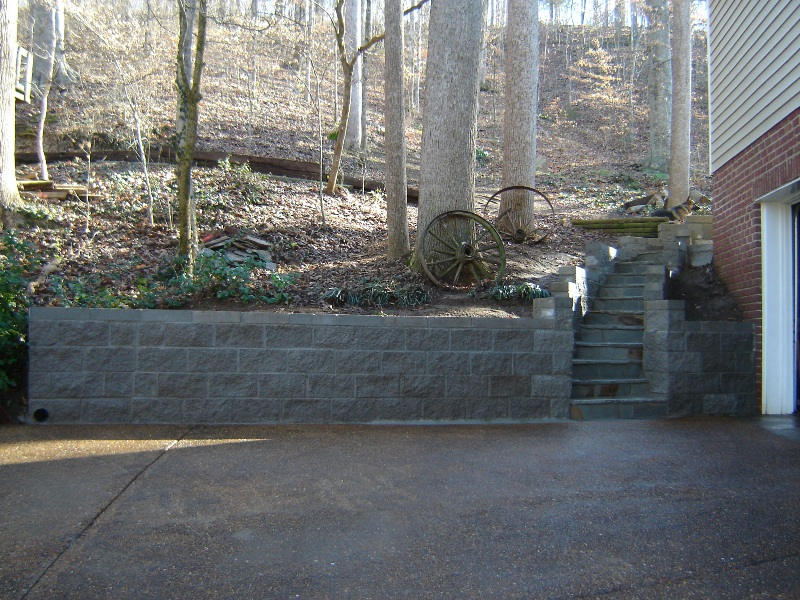 They are typically used on steep slopes, however they can be used to control any type of soil. 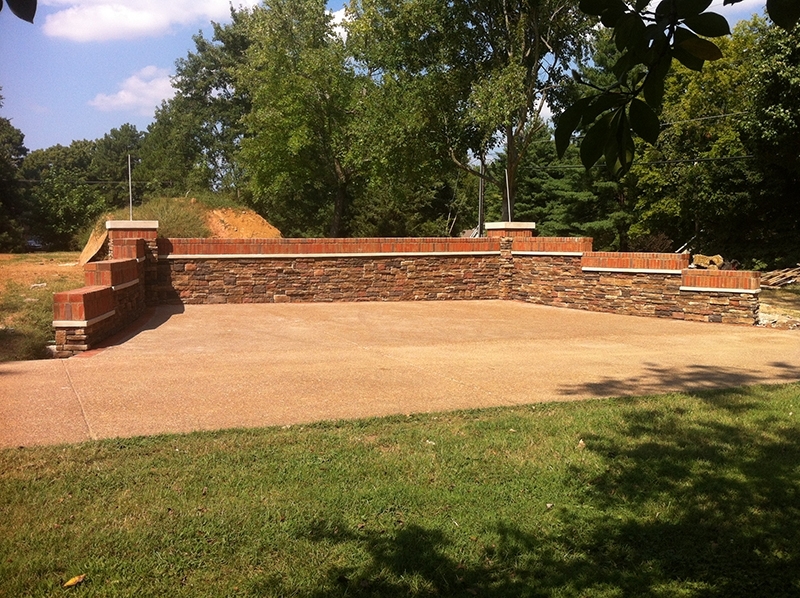 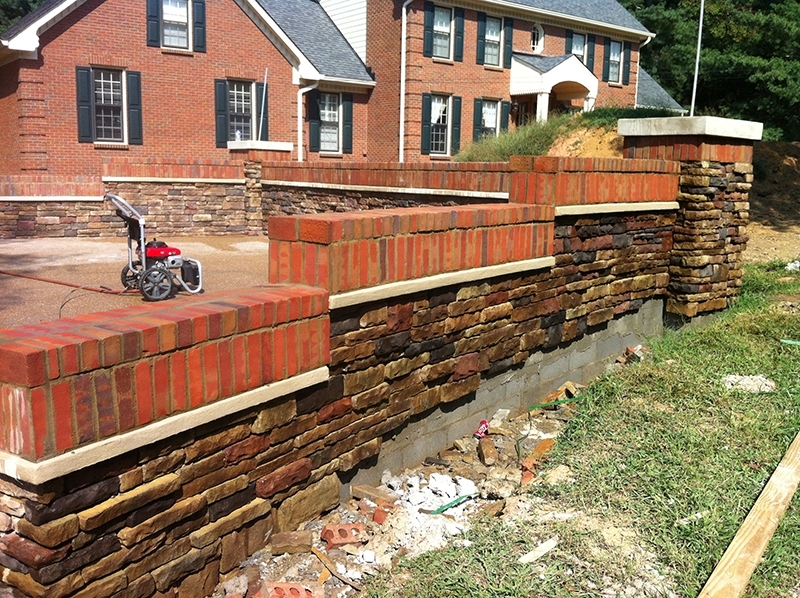 Retaining walls are built with blocks which can vary in shape or size depending on the visual style you’d like to have. 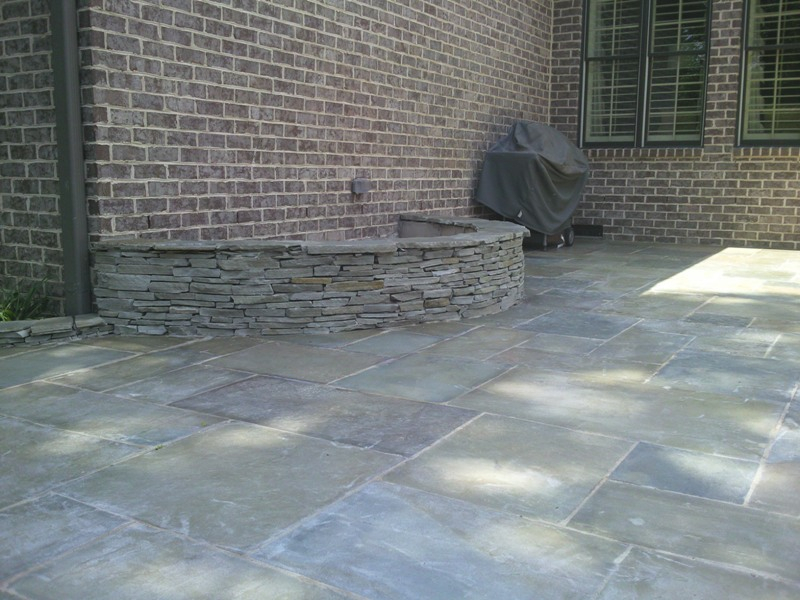 Most colors are earthy stone-like, consisting of grays, browns, tans or a mixture of the three. 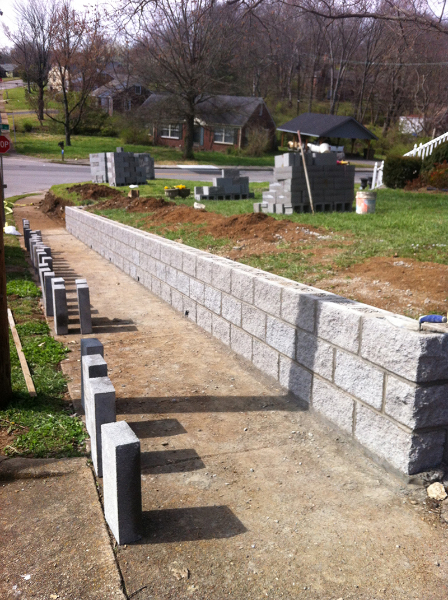 Blocks can come in sizes ranging from small 20 pounders to massive 1000+ pounders depending on the projects need. 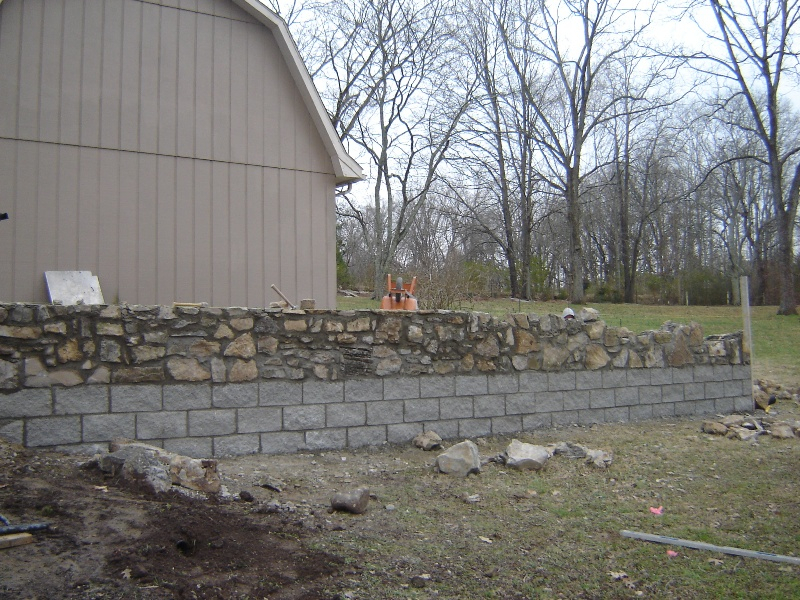 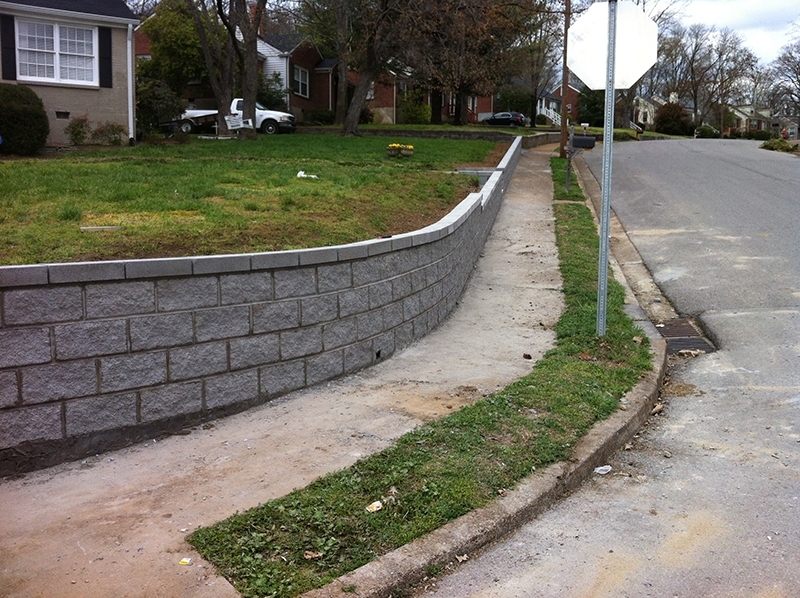 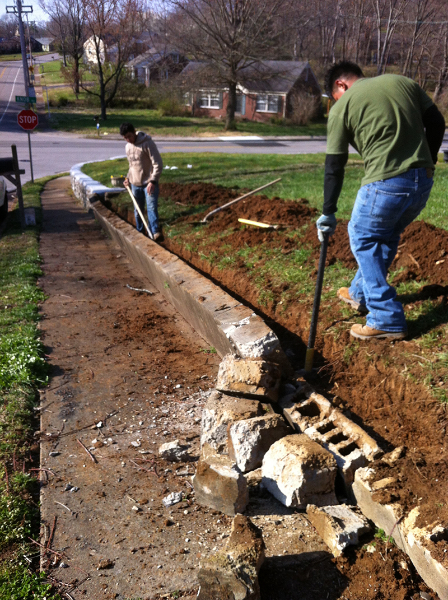 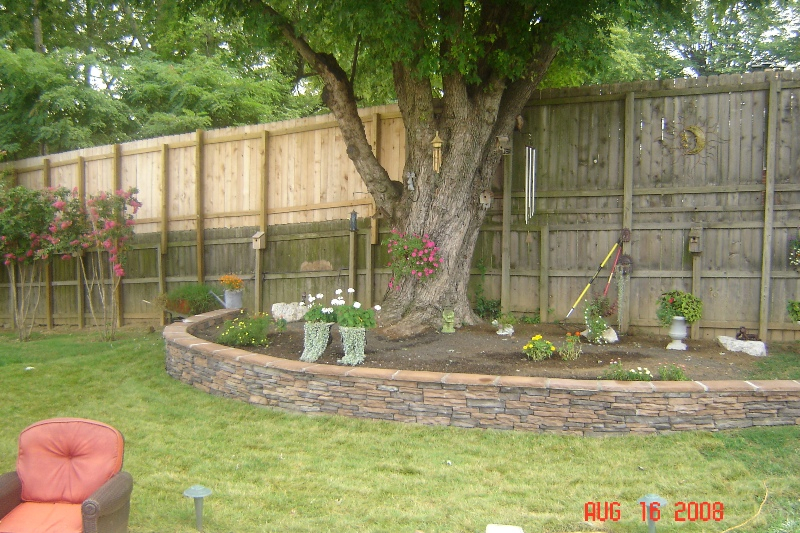 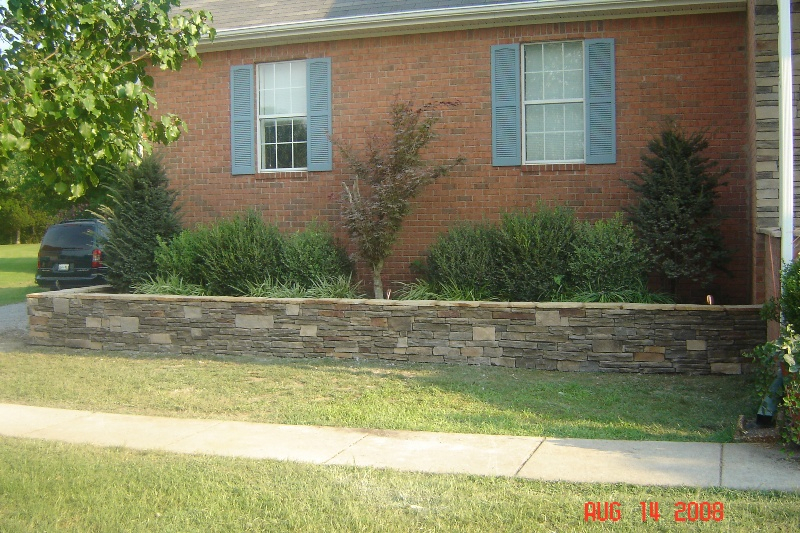 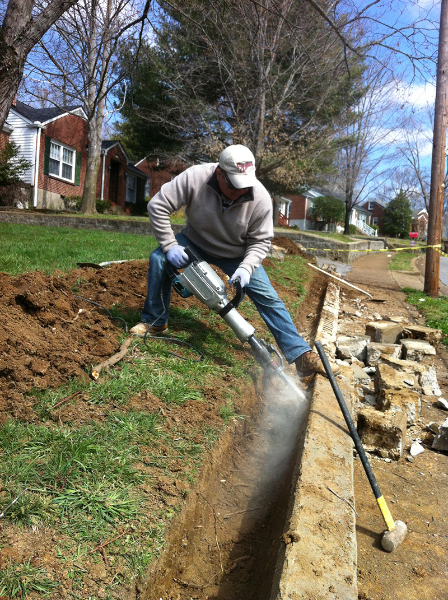 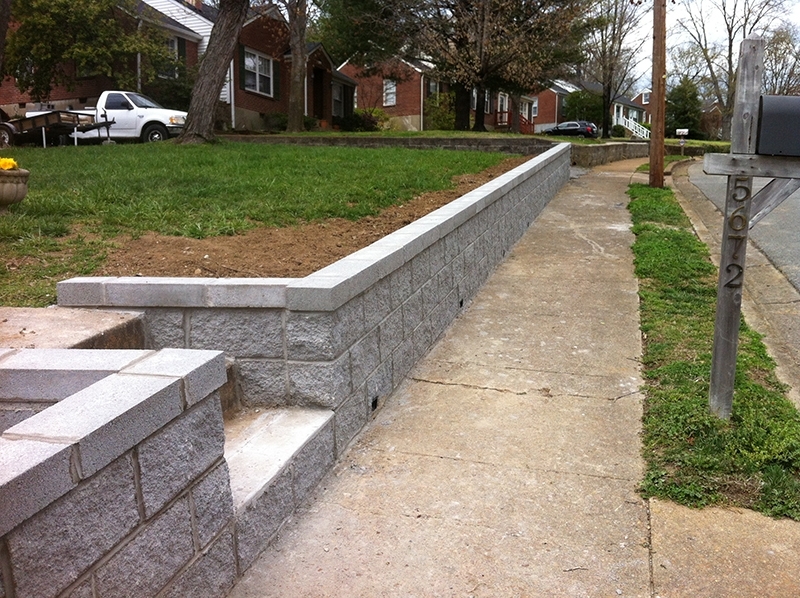 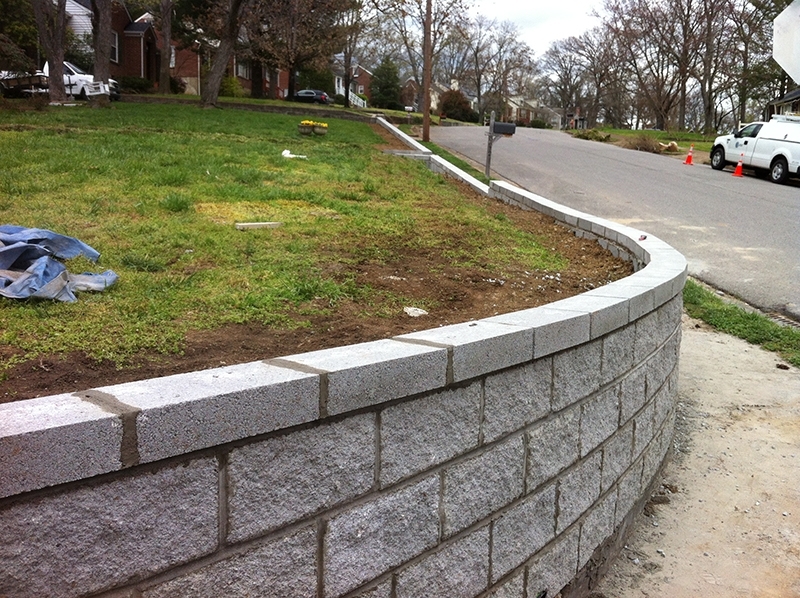 For retaining walls on home properties, smaller blocks are usually used. 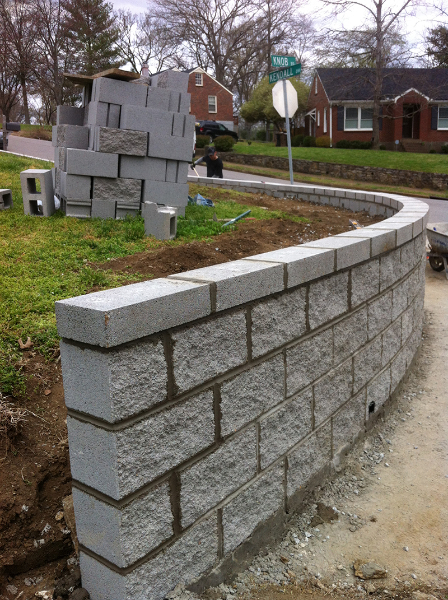 Blocks are typically chosen to match the size and scale of the projects. 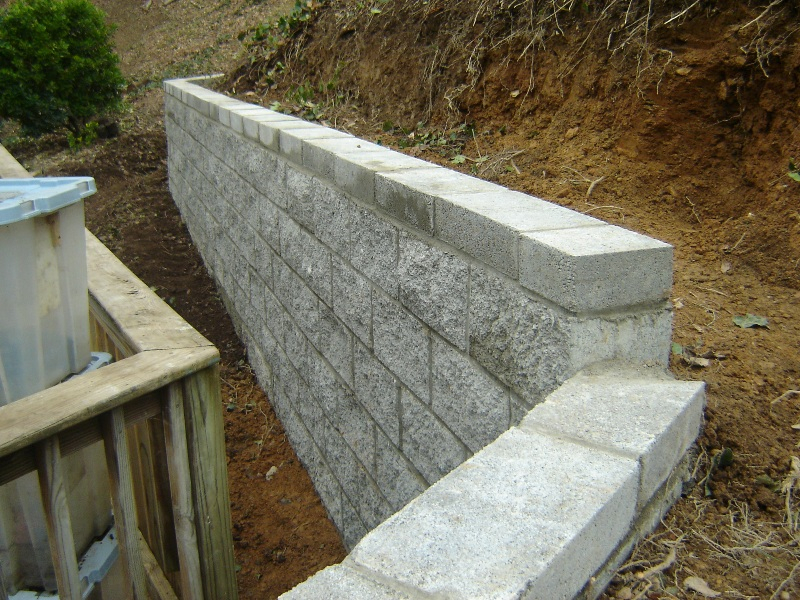 Depending on the size and mass of soul being retained larger blocks may be needed. 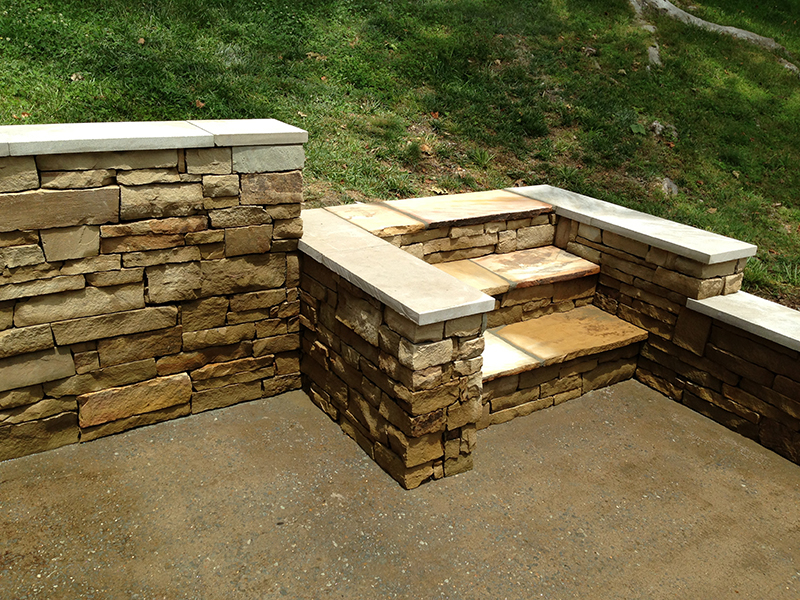 Blocks can have many different textures from smooth, split faced, beveled, or even rock faced. 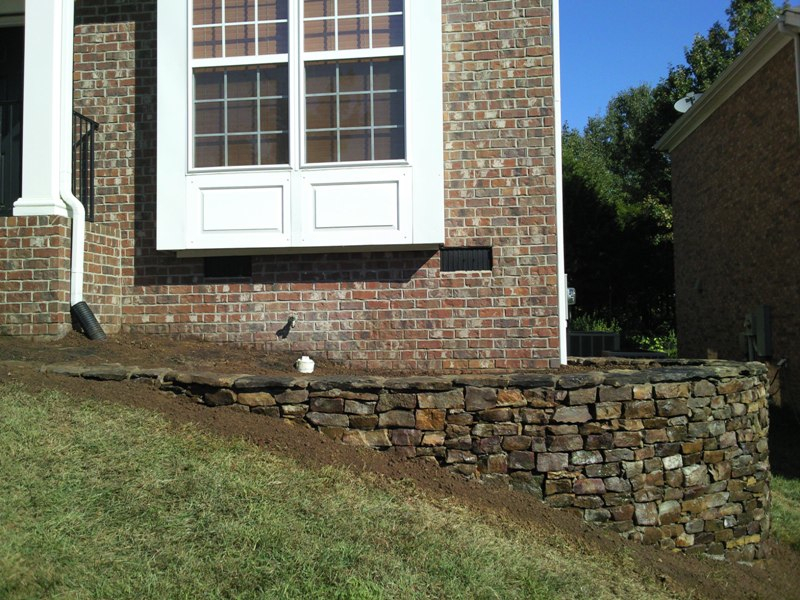 On home properties it is not uncommon to see retaining walls being used to level yards, hold up driveways or patios, or as raised planters. 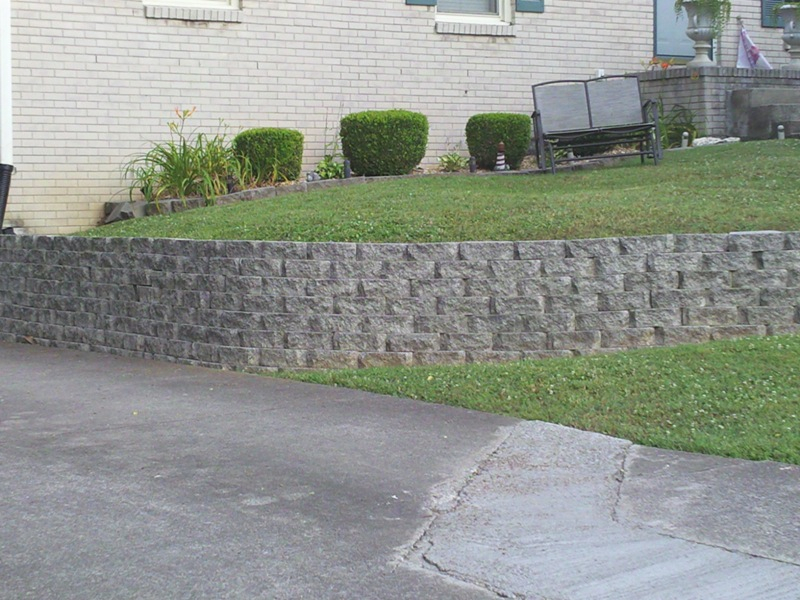 Built in fountains can also serve as retaining walls and complement your yard’s landscaping at the same time. 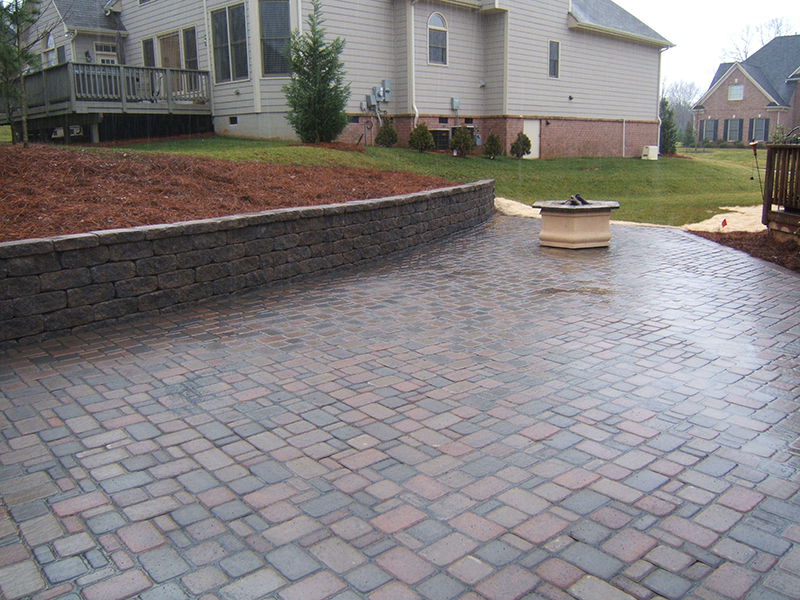 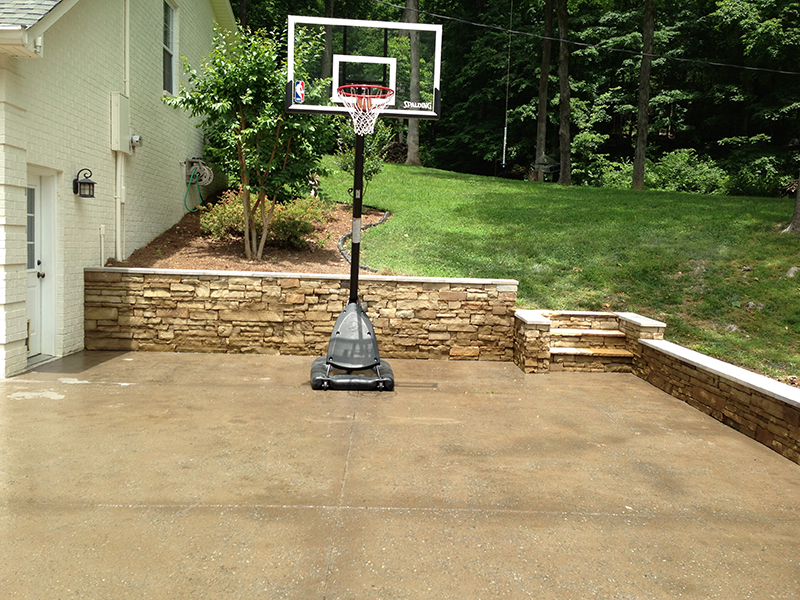 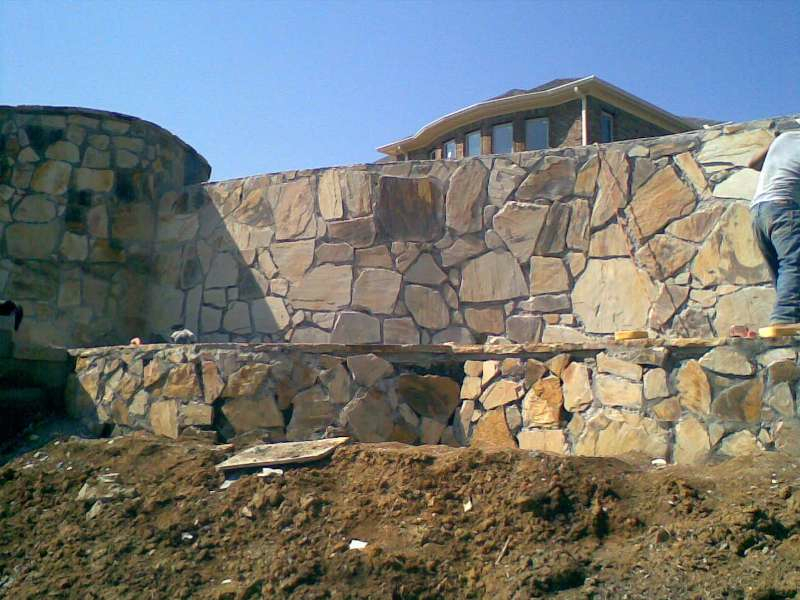 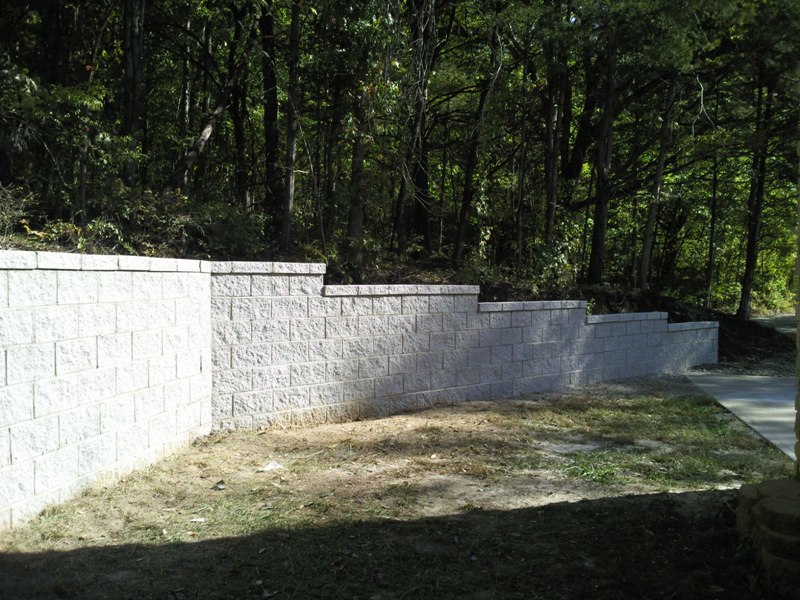 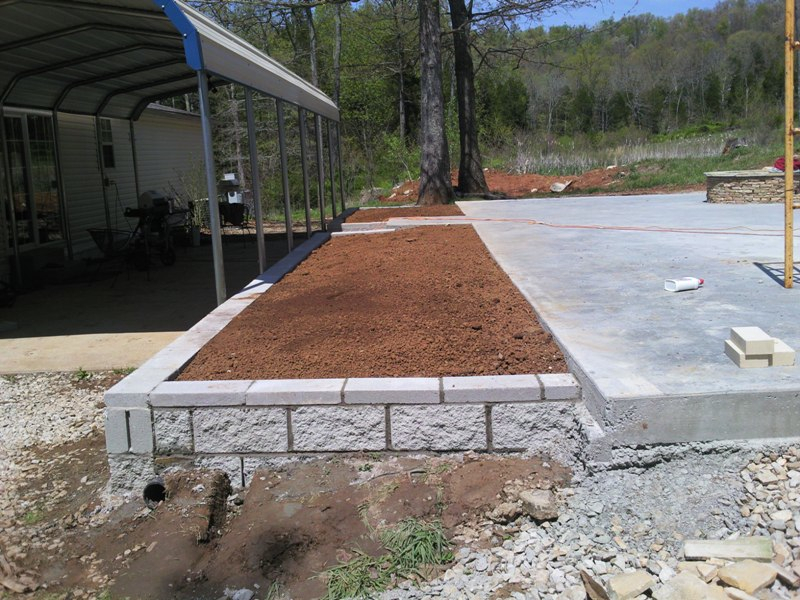 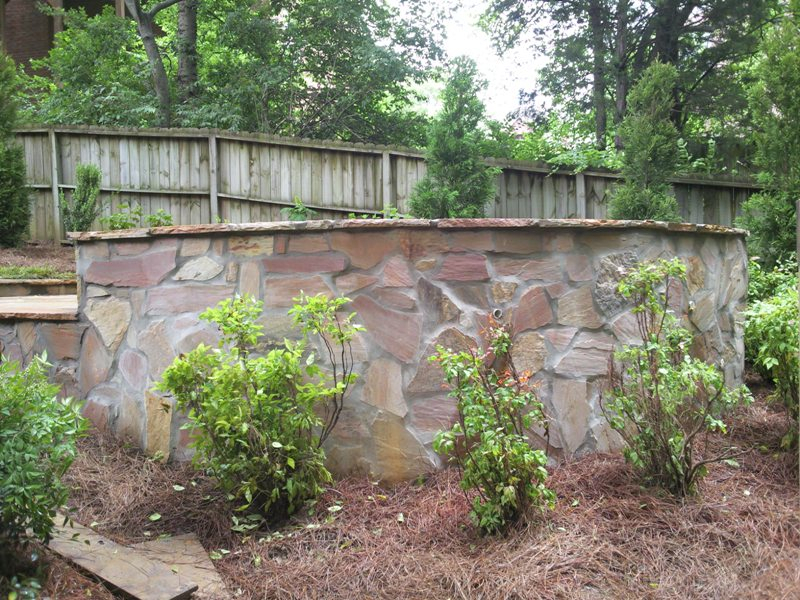 The experts at Jordan’s Improvement will know exactly if retaining wall is best for your yard and what type of will best compliment your property.